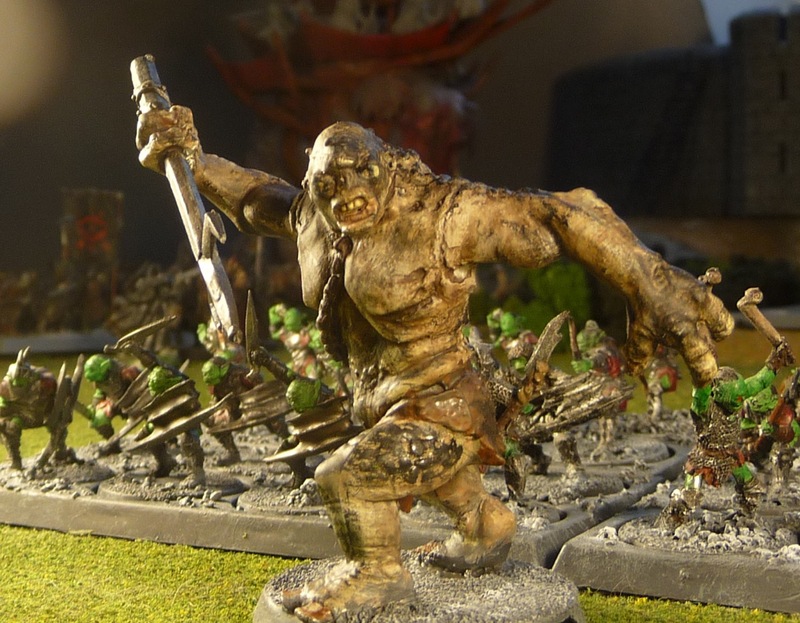 wargaming in 28 mm and sometimes smaller: Moria Goblins and they have a Cave Troll!! 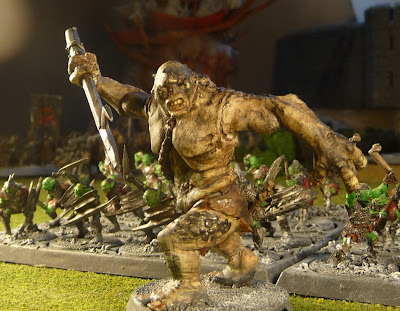 I believe Simon was quite proud of his Cave Troll, he was just starting to learn to use washes. 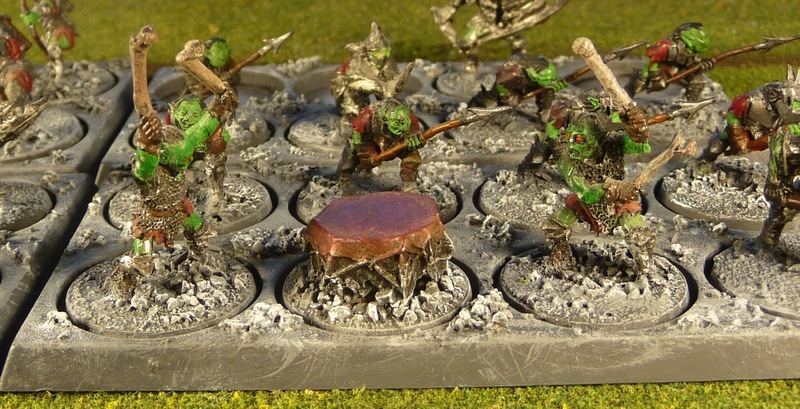 He also really liked the job he did on the Goblin drummers, especially the drum itself. I went with an underground rock motif for the bases and trays. 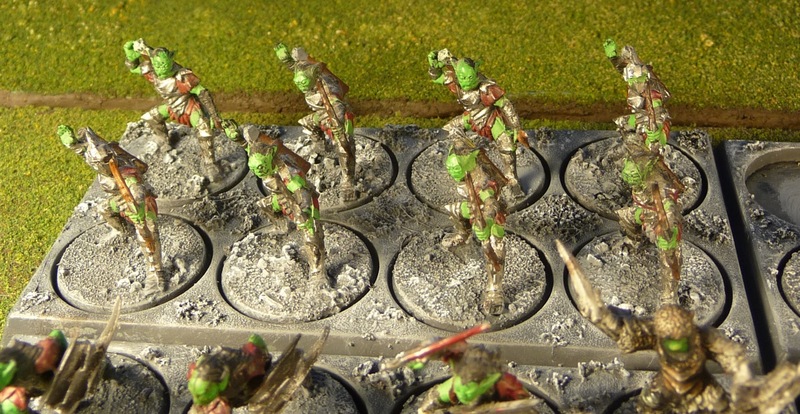 A unit of Goblin bowmen. So I believe the figures have come from the plastic Moria Goblins set (24 figures); the Moria Cave Troll; the Moria Goblin Drum, the Moria Goblin Shaman and the Moria Armoured Goblin Warriors metal sets. Seems like there is 3 missing plastic goblins. Yes those empty slots are going to drive me crazy! Good stuff! 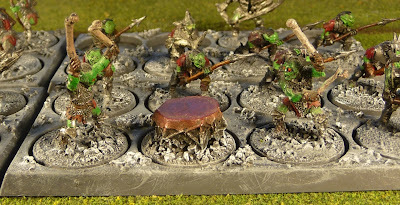 If you have some spare 25mm bases just model them up with matching gravel and/or plop the odd rock or discarded shield on them and mix them in on the various movement trays. Excellent idea from both of you, I have many extra bases so a great idea. Your son did a really nice job. I can only agree with the above. And I am more and more thinking about bending this idea into something not only aesthetic but also of use in game, like rewards, special abilities, loots... So on. Simon did a brilliant job on that Cave Troll! The skin looks marvellous. 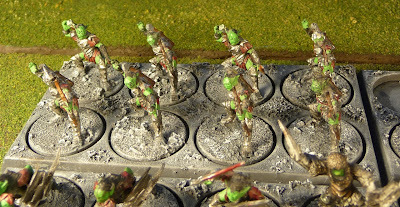 Yes, terrain and battlefield flotsam will fill in those sockets quite well. Very nice grubby looking troll! As for those empty slots... take a look at my filler bases for dark ages units. My homepage :: scottrade inc.